Remember Shark Tale? 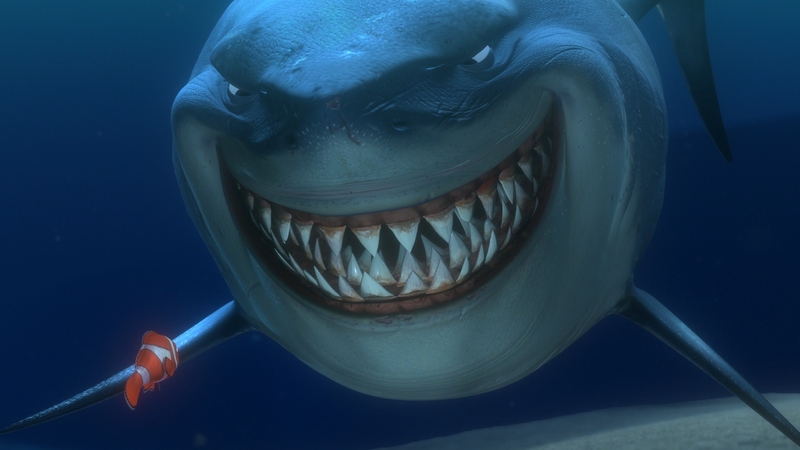 A year after Finding Nemo, Dreamworks released a Will Smith-starring fish vehicle, and while the timelines show some developmental animation overlap, the market Dreamworks was after is obvious. 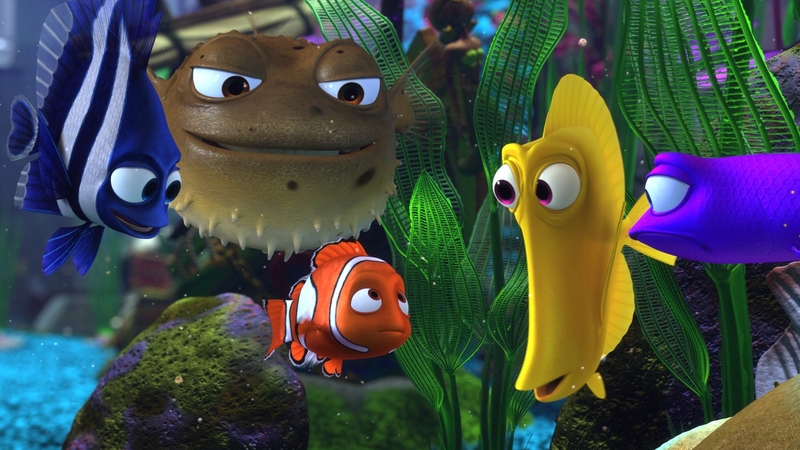 We remember Nemo though, and celebrate it for the gem that it is. Shark Tale is relegated to the bottom of a trench. The comparison is apt, if only from a critical standpoint. What makes Nemo work and Tale collapse? Character. 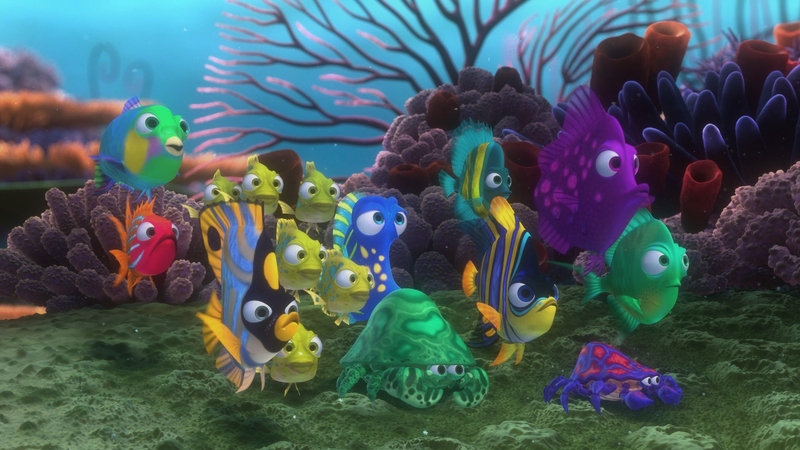 While Dreamworks pushed infinite pop culture references, parody, songs, and reaching humor (all popular), Pixar looked in with memorable characters on a journey. Despite the named title, this is a film about Marlin (Albert Brooks) and his over active parental instincts. It becomes the search and then the growth. 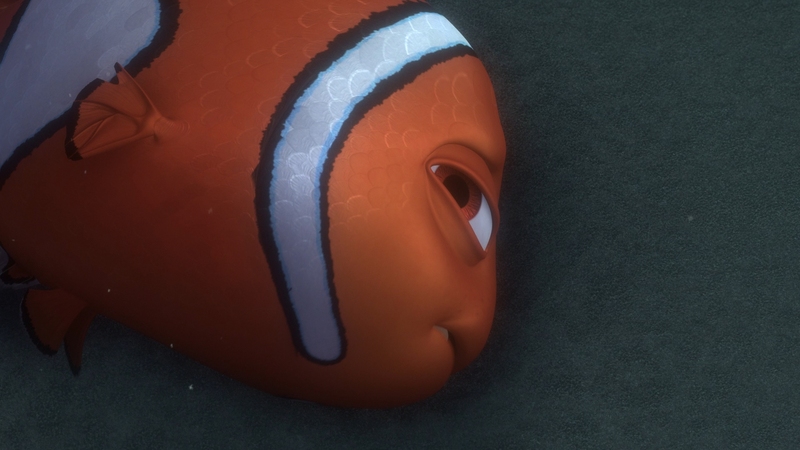 In Disney fashion, Nemo opens on tragedy. 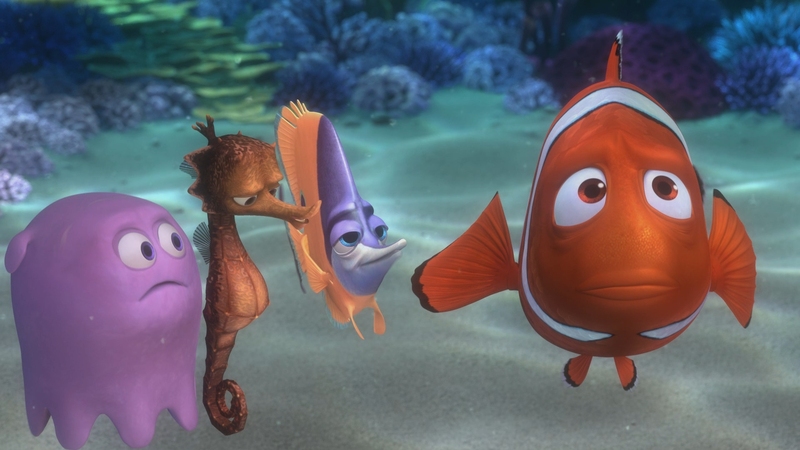 Marlin’s wife and still-in-the-egg kids are munched on by a barracuda, leaving only one cracked egg left: Nemo. 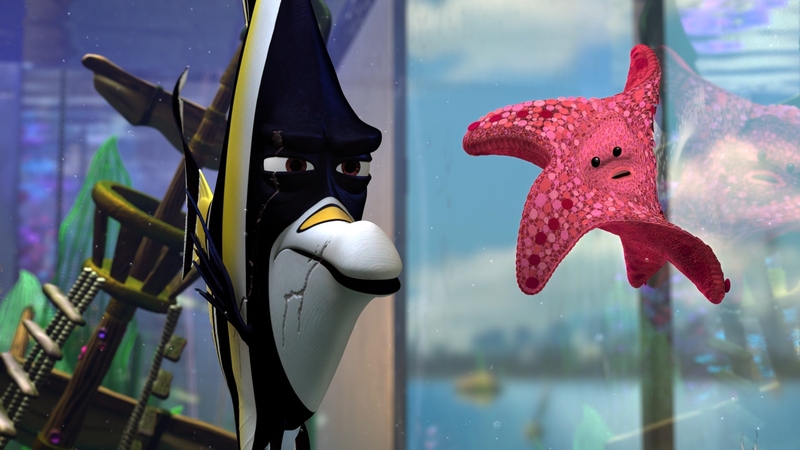 Handled deftly, the drama isn’t for direct emotional response; it is an event that becomes who Marlin is. He is distrusting, unsure, and terrified of his own surroundings. By contrast, Nemo is eager is explore. The audience can assume he doesn’t know the truth. 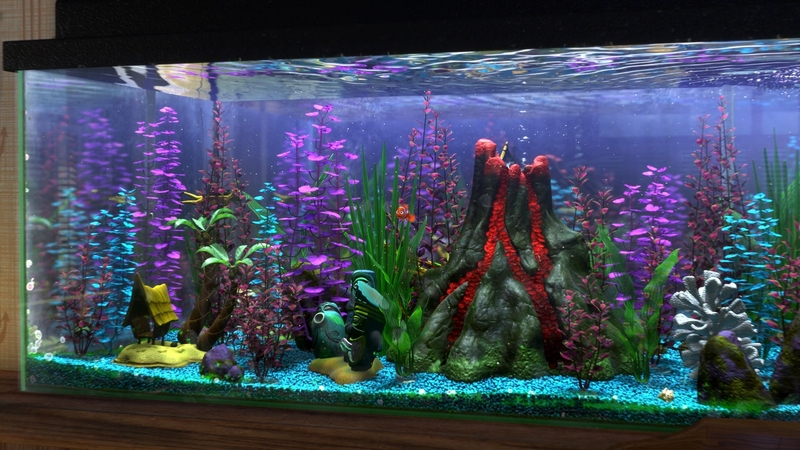 By way of human intervention – and without being preachy – Nemo is snatched up by a dentist for display in his office aquarium. As ridiculous as it sounds, there remains a chance for rescue, Marlin setting out across the void. 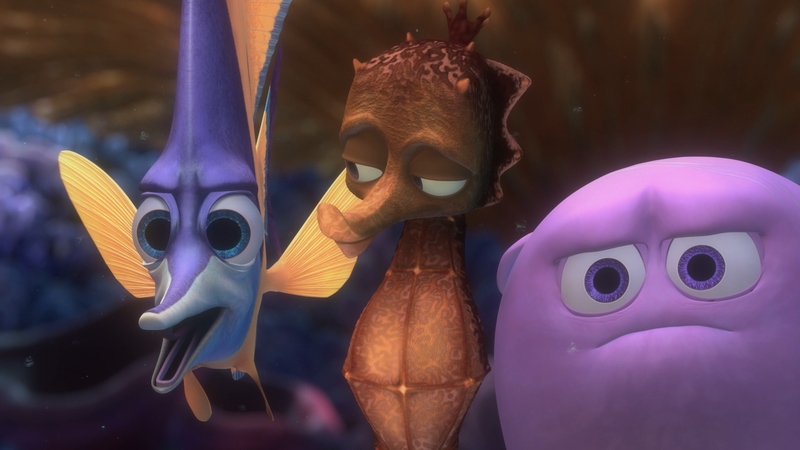 That’s when Dory (Ellen DeGeneres) enters, a bright, peppy fish with memory problems. 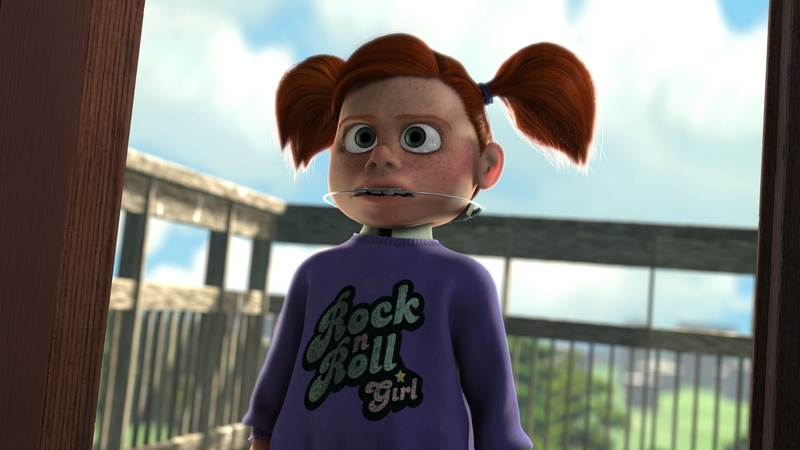 She becomes the comedic guide, although miles above the animated sidekick shtick. Like almost every introduced speaking part, there’s an element to her that draws the audience in for more than sight gags. She is a likeable part, played with utter enthusiasm and unknowing generosity. 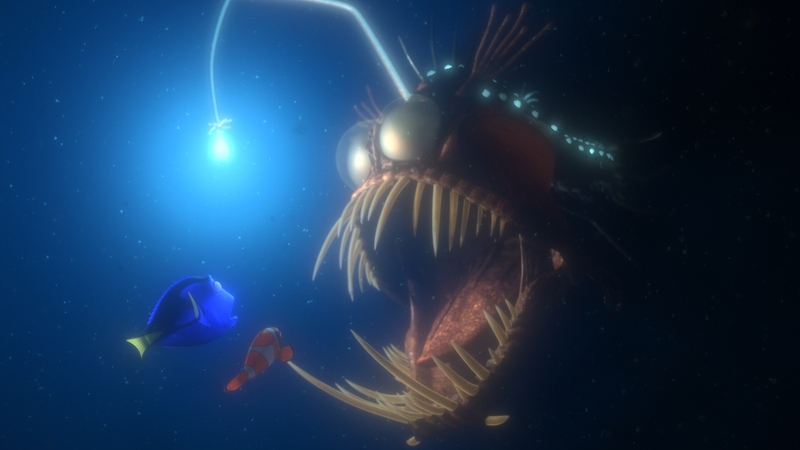 Thus, the quest takes over, Nemo in a desperate attempt to escape a shaking death at the hands of the dentist’s niece, Marlin to brave the sea. 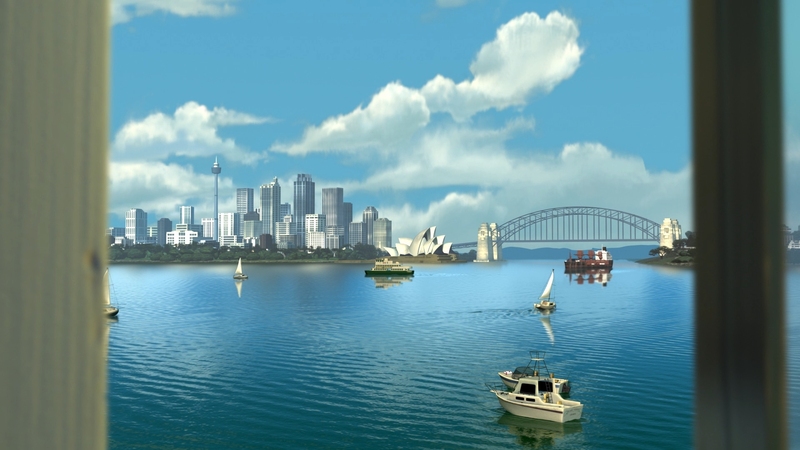 Pixar elevates their status to blend realism and caricature along with remarkable, dazzling seascapes. Ten years out, Nemo remains one of their most instantly astonishing works. There is more than color; it’s the light, the swaying of the surface, and the reflections. The work is absorbing and wholly authentic even if we’re dealing with talking fish. Elements of the modern animated film are in tow. 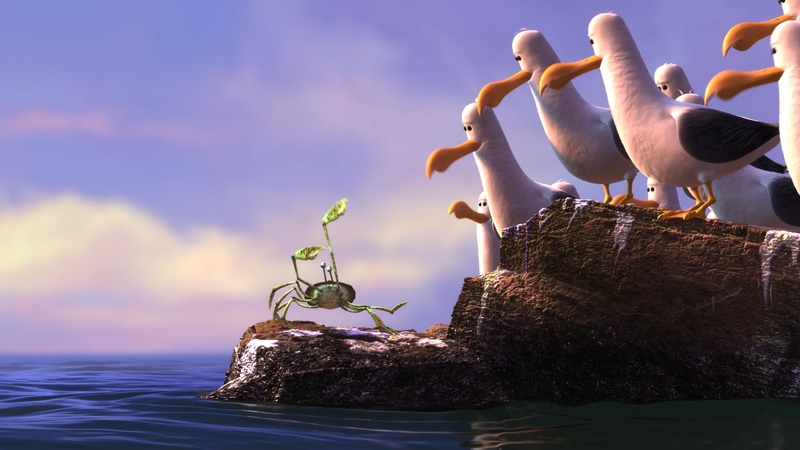 Pixar does bring with some stock comedic one-offs, but they’re genuinely entertaining and important. Selfish seagulls exist for more than laughs. 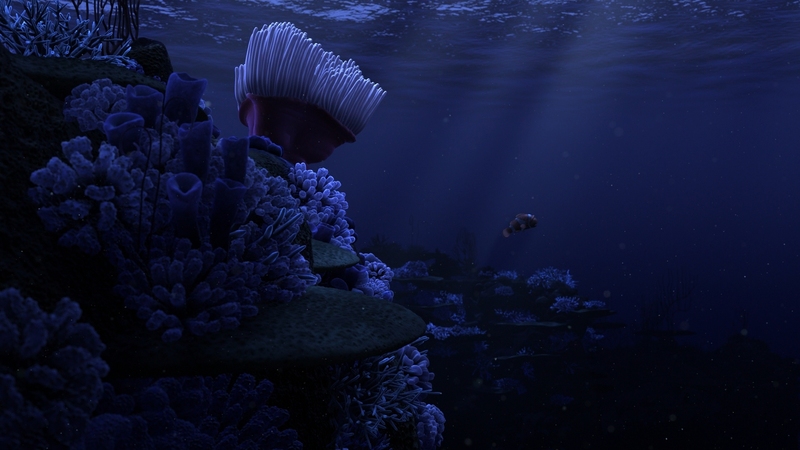 They become an element that impedes a clean escape, and Marlin’s own efforts turn the entire sea heroic. There is a connection between the water and the surface that blends both worlds. Birds and a little girl make even the safe haven of four glass walls dangerous for Nemo. 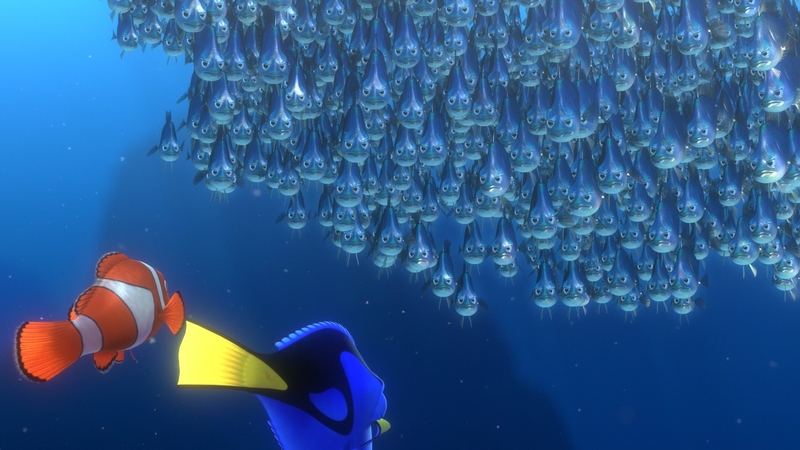 Finding Nemo is narrative much like Titanic: Yes, the boat will sink and yes, they’ll find the fish, but that’s almost unimportant. What matters is the growth and how it happens on screen. That is where the skill lies, invested in development, the world, and the design. 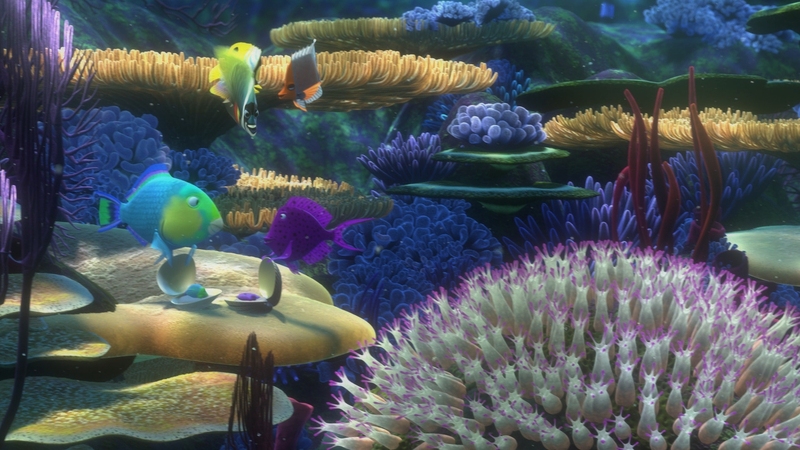 Shark Tale merely replicated a human world in the water while playing to popular themes. In the realm of 2D, depth matters. 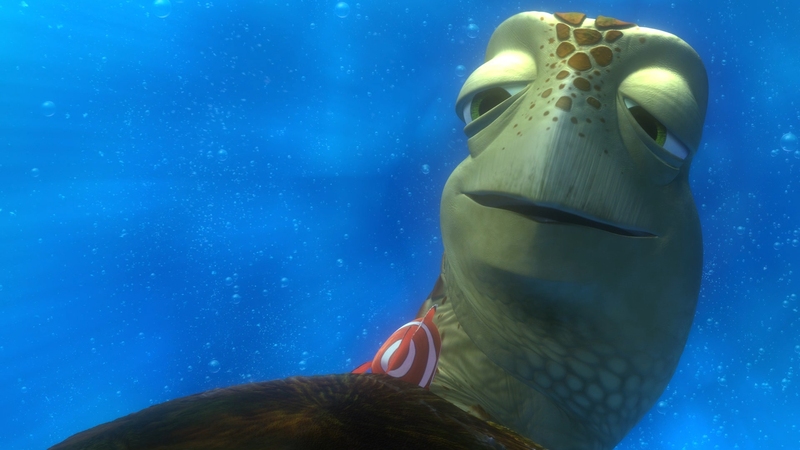 Finding Nemo does it better than just about anything else. Without the aid of glasses, Marlin’s first appearance as he peers over the edge makes it seem as if he is leaping from the frame. That’s a testament to the animation as much as it is this transfer. Underwater, the sea stretches for miles, an effect that is represented with astonishing clarity on Blu-ray. Sharpness is tantamount to this presentation, the level of definition still incredible even if you’re numb to the effects of animation on this format. Sea life looks better here than it does even in IMAX presentations of real life coral. Therein lies of benefit of controlled creativity. 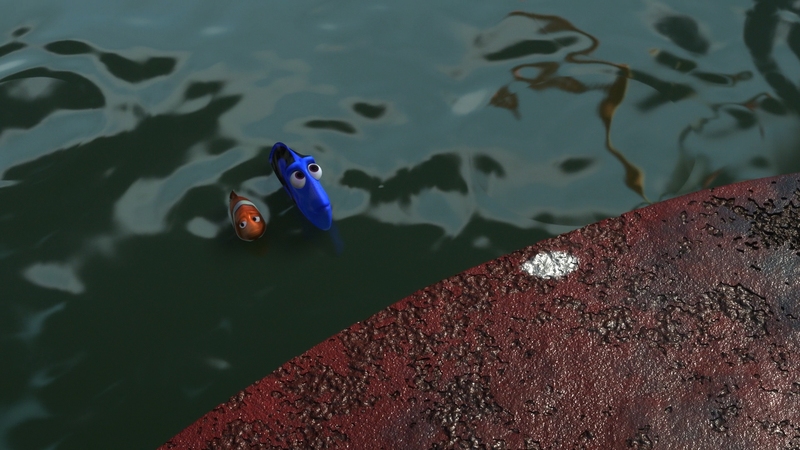 Nemo’s only fault is some late aliasing as the docks of Sidney reveal rows of boats that break up. That will be the only imprecision evident. Every other line, sight, and object is perfectly refined to produce the substantial detail on display. From scales on the fish, texture on the plants, transparencies from light, nothing is lost. Backing it all is a brilliant contrast fueled not only by brightness but color. 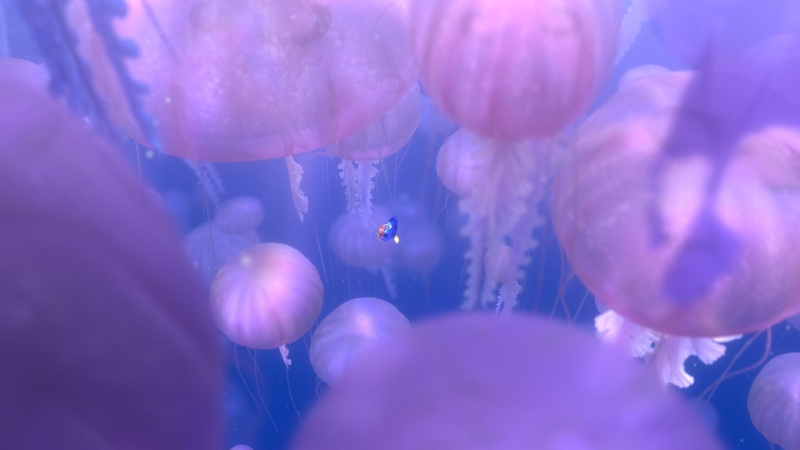 The sheer amount of saturation is a hallmark of this film, and without compression to get in the way, Nemo soars to new heights in the home. Where reckless MPEG-2 artifacts would adorn most of the DVD (and that was still a top-tier disc in its day), Disney’s AVC work is impeccable. You back that up with perfect black levels, mesmerizing during the trench dive, and it’s as perfect a transfer as you’ll find. Continued success is found with the 3D, Nemo primed for success based on subject matter: The story is told with objects floating in an open space. Often they are close, other times they are far, but the end result is that they always feel as such with no qualms as to the depth quality. Already packing intense brightness and dominating color, the glasses seem to have little impact. Not only are you receiving the full range of the 2D image, it will be enhanced with superior 3D. It is only moments until Nemo astounds, the ridge that marks the home of the clown fish a marvel, and the school of fish kids bouncing around happily near the coral is a blast to see. Remarkable sights include the aquarium which truly feels like an enclosed space or the underwater minefield. Explosives pass by in layers that are nothing short of perfect. Dizzying scenes of turtles riding the waves or the frantic aquarium escape are wonderful pieces to showcase. No instances of cross talk, no flatness, and no loss of dimensionality. Stunning. Being constantly surrounded by water gives this TrueHD 7.1 plenty of opportunities to work. In fact, it never stops. The rush of liquid is subtle but an element that doesn’t leave this movie behind. There’s always a sense of the elements enveloping the characters and the listener. Nemo isn’t shy with the LFE heft either. A shark attack past the 20-minute mark has plenty of weight, and the explosions that follow are phenomenal. Whales bellow and rattle the room, engines fire up, and the current ridden by turtles is spectacular to hear. Directional elements go far beyond water too, assuming the subwoofer isn’t diving low enough for you (seriously?). Voices travel out from the center as visuals dictate (apparent immediately as Nemo’s excitement for school causes him to swim in circles) and seagulls fill in the space behind the leads as a chase ensues. 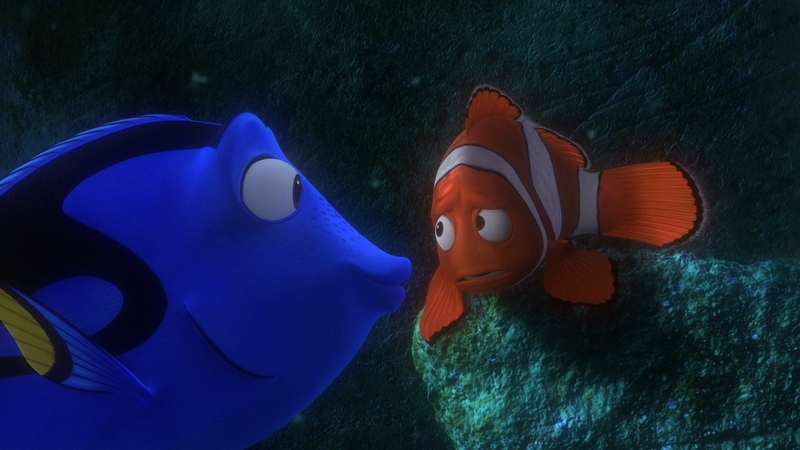 Nemo is all precision, all the time, and shows no signs of aging whether that be in reference to fidelity or design. Spread over two discs, the only disappointment are the virtual aquariums which have unfounded potential with their static movements. Everything else – including the pieces pulled from the DVD – are great. With the film itself is the new material, beginning with Cinexplore that acts as a commentary and pop-up feature all in one. The wonderful Pixar short Knick Knack is one of their best, included rightfully as it was included theatrically. A roundtable brings main creative crew members together 10 years later to reminisce about their process. Reinventing the Submarine Voyage looks at the Disneyland attraction and how it has changed over the years into a Nemo piece. 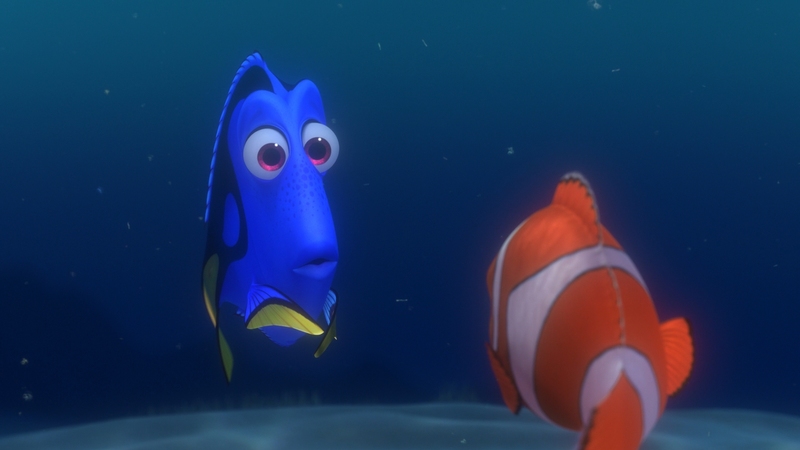 A Lesson in Flashback details Andrew Stanton’s difficulty in removing flashbacks from the story. A new deleted scene details an alternate opening. All together, the material new to the Blu-ray on this disc runs about an hour if you’re not including the commentary. The second disc pulls from the DVD almost entirely except for an art review as the three lead designers look back at their work. From there, we have Making Nemo, a half hour featurette, a short Exploring the Reef documentary, studio tour with Alexander Gould, a hodge podge of animation featurettes labeled Old School, short voice acting outtakes, deleted scenes, trailers, and an encyclopedia of sorts about the sea life in the film.